Truffles are a personal favorite of mine, growing up my family owned a restaurant and one of my jobs was to make truffles. Bourbon, mint, orange, you name it. My husband and I also had lavender truffles as our wedding flavors. 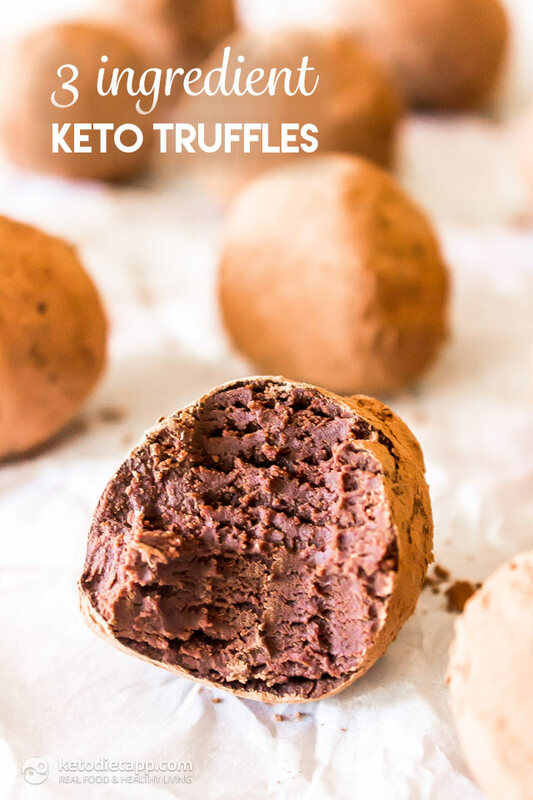 You could say I love truffles but I especially love these keto truffles. They are also some of the easiest fat bombs you can make! 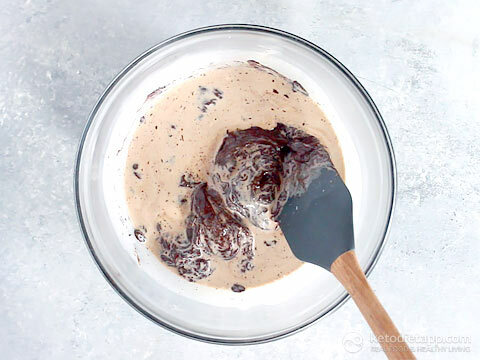 With just 3 ingredients: dark chocolate, heavy cream (or coconut milk, or even unsweetened almond milk), and cocoa powder this is a great base recipe to jump off of to create your own flavors, although they’re great as is. If you’d like to spice them up a bit I’d start by adding 1 teaspoon of a flavoring such as vanilla, maple, mint, almond, or orange extract. It&apos;s the perfect threat for Valentine&apos;s Day or Mother&apos;s Day! Let us know in the comments how you end up flavoring your batch! 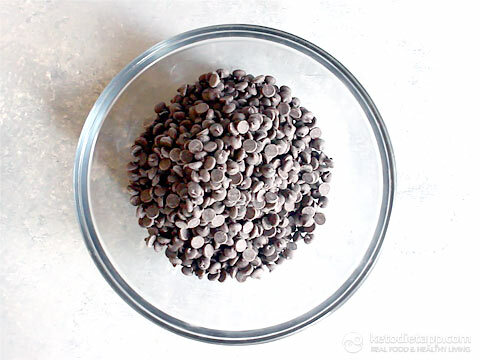 Note: Instead of cacao powder for coating you can use other ingredients such as unsweetened shredded coconut, slivered almonds or hemp seeds. 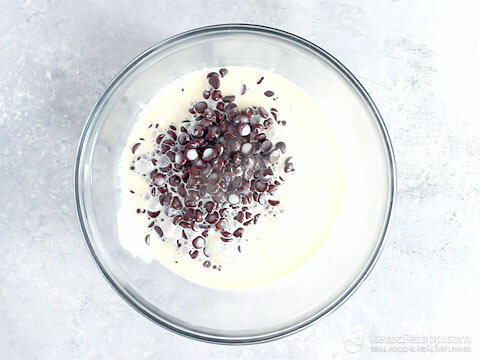 Heat the cream plus any flavoring (try cinnamon or vanilla, mint, orange, maple or almond extract) a small pot over medium heat until simmering. Pour the hot cream over the chocolate. 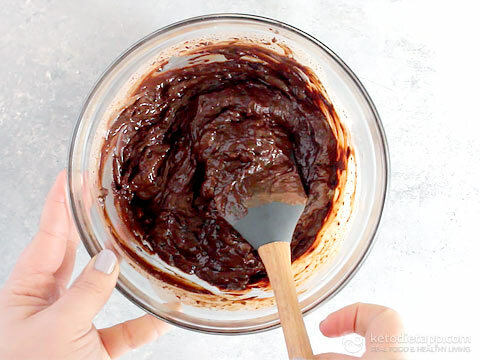 Let the chocolate soften for a minute or two, and then gently stir to melt. Transfer to the refrigerator to chill for 1 to 2 hours. 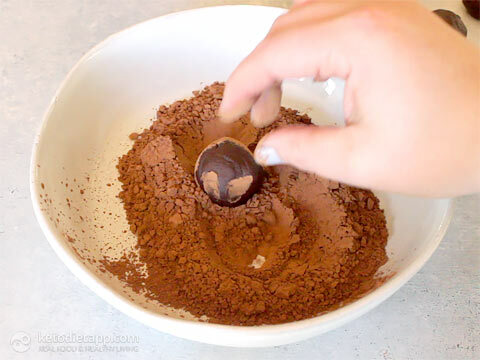 Once chilled use a spoon to scoop up a small amount (about 24 g/ 0.9 oz) of the mix and roll into a ball. 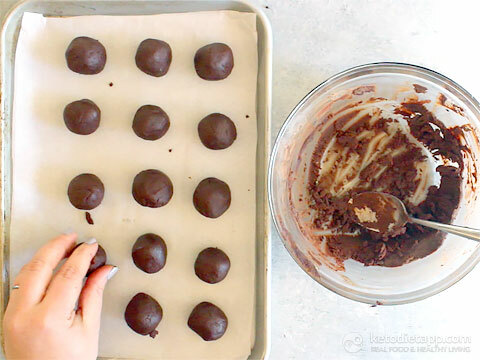 Repeat with remaining chocolate and place truffles in an airtight container to store. 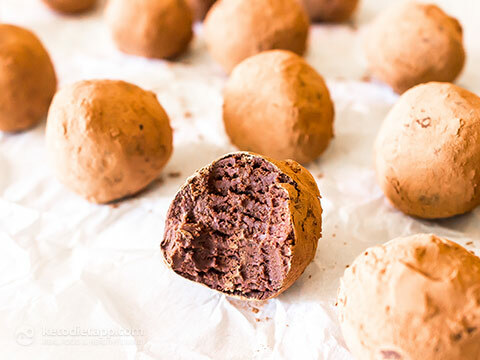 Roll each ball in cacao powder. Has anyone tried with coconut milk instead of dairy? 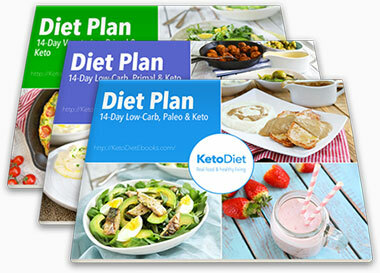 Hi Regan, I use it quite often - coconut milk is a great alternative! 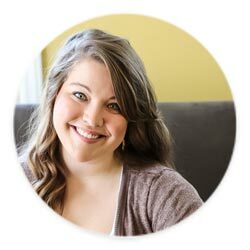 Hi... if I were to use Bakers unsweetened baking chocolate how much would I need? And how much sweetener? Thanks. It depends on the desired sweetness but I'd use about 200 g unsweetened chocolate + 1/4 to 1/2 cup powdered sweetener such as erythritol, Swerve or allulose. Thanks for quick response Martina... so just to confirm it’s 200 gms of unsweetened chocolate in a half cup of heavy cream?